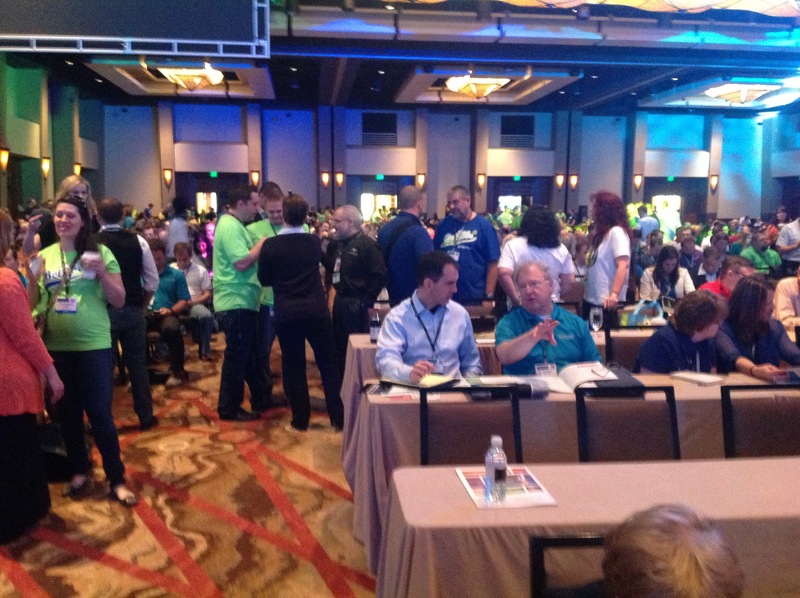 Last week I attended InfusionCon 2013, Infusionsoft’s annual user event. In case you’re not familiar with Infusionsoft, they provide web-based all-in-one sales, marketing and ecommerce software aimed at “true” small businesses with 25 or fewer employees. Over 2,000 small business owners attended the event, which featured the launch of Infusionsoft’s 2013 Spring Release, and three days of education, training, networking and presentations. Speakers ranging from Daymond John, founder of FUBU and investor on ABC’s Shark Tank, to David Allen, author of the bestseller Getting Things Done, shared center stage with Infusionsoft “Ultimate Marketer” nominees, who provided insight into Infusionsoft’s unique customer community. And, in an industry where most vendors are easily lured upstream into midmarket and large enterprises, the Infusionsoft team doubled-down on the company’s commitment to serving small business. 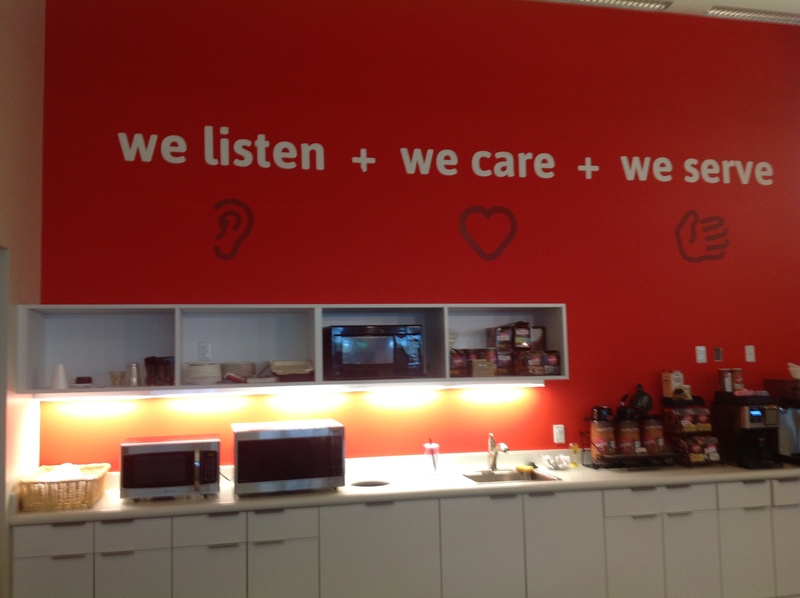 How does Infusionsoft intend stick with its small business pledge? Let’s take a look based on what I saw and heard at the event. It comes as no surprise to anyone that has ever owned a small business that in every SMB Group study we do, small businesses cite “growing revenues” and “attracting new customers” as their top business challenges. While the goal is straightforward, getting an effective system in place to connect with and nurture prospects and customers is hard and time-consuming. Many end up with using a disconnected assortment of point solutions to address different requirements for things such as ecommerce, email marketing and content management. Not surprisingly this often gets ugly and hard to manage as a business grows. It becomes increasingly difficult to give customers and prospects the responsive and personalized attention, offers and service they expect without working round the clock. CEO Clate Mask founded Infusionsoft in 2001 with the intent to help small businesses grow without becoming slaves to their businesses by helping them automate their sales and marketing with an integrated, all-in-one solution. Over the past dozen years, Infusionsoft has grown its customer base to 13,500 accounts and 50,000, with a roughly even split between B2C and B2B companies. Growth is also accelerating: Infusionsoft increased revenues and customers by more than 50% in the past year. I think its fair to say that in the early going, Infusionsoft’s appeal was limited to those small businesses who saw the value of automating their sales and marketing but were also ready, willing and able to invest a lot of time learning how to use Infusionsoft and getting it to work for their businesses. Many of these pioneers have had great success using Infusionsoft to help grow their businesses. As Infusionsoft has grown however, it has begun to attract more pragmatic customers who don’t have the time or interest required to tinker with configuring software. Small business owners are already wearing enough hats—they aren’t marketing experts and don’t want to be. They see the value that an integrated sales and marketing solution can deliver, but want a shortcut to it. Mask and his team have heard this message loud and clear. They know that they need to simplify the solution to appeal to wider swath of small businesses and spike growth to the next level. Consequently, Infusionsoft is focusing on simplifying the solution and delivering positive outcomes to users more quickly to reach its next milestone—100,000 customer accounts in the next four years. The My Day dashboard makes it easier to for users get organized, create quotes and move quickly through sales activities to close more business. Infusionsoft’s Marketplace provides a library of free, pre-built marketing campaigns that have a proven track record of converting leads into buyers. Instead of reinventing the wheel, users can download a campaign to their Infusionsoft app, tweak it and go. A new quoting tool that streamlines the quoting process and helps users create, track and manage quotes. New interactive training tutorials help users learn about how to use additional capabilities from within the solutions with boxes that pop up to explain how to do things relevant to where users are in the application. Infusionsoft has also integrated GroSocial (which it announced the acquisition of in January) with Infusionsoft Campaign Builder. GroSocial enables users to create and manage social campaigns on Facebook and Twitter, and the integration with Campaign Builder whittles down the time it takes to create, manage and track social media marketing campaigns. Earlier this year, it captured a $52 million dollar financing round from Goldman Sachs. Skeptics, myself included, have wondered if Goldman Sachs will force Infusionsoft to go upmarket or position for acquisition. After all, striking the right balance to deliver value and build volume in this very fragmented, diverse market is not for the faint of heart. Once you move past turnkey point solutions, very few vendors have been able to establish enduring scale and success. But Mask says that the investment firm wants Infusionsoft to keep its small business pledge and build a great, long-lived company. It turns out that Goldman Sachs supports small businesses through its non-profit foundation, 10,000 Small Businesses, and Infusionsoft sees potential synergy with this initiative. Meanwhile, Infusionsoft is staying true to its own small business roots. Over 60% of its employees have experience running their own small businesses, and Infusionsoft encourages new employees to continue running their small businesses while they work for Infusionsoft to keep the small business focus sharp and stay true to its mantra to listen, care and serve small businesses. Infusionsoft is also expanding its ecosystem of developer and service delivery partners, which now includes over 300 partners. This year’s Battle of the Apps, showcased at InfusionCon, showcased 4 contestants who develop plug-ins and add-ons to the Infusionsoft platform. Meeting rooms that small businesses in the Phoenix community can use free of charge. A large space to accommodate training for customers and partners. 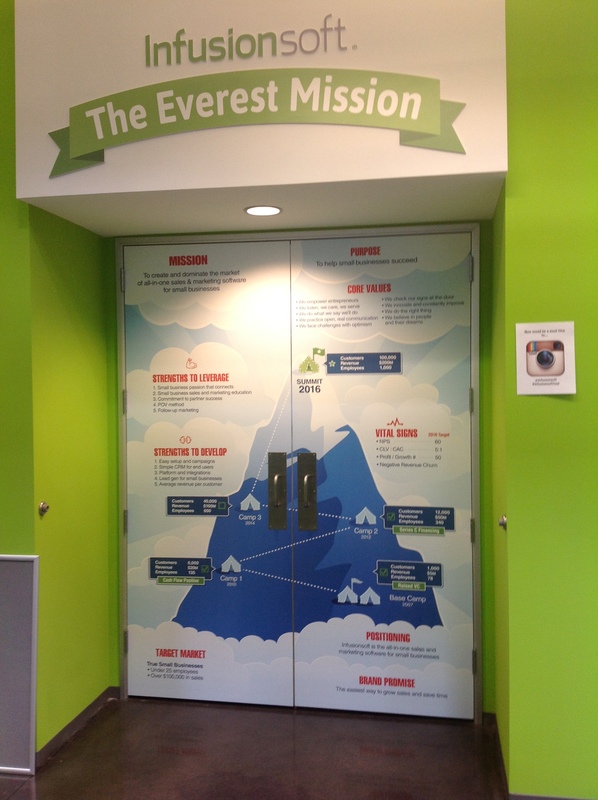 Prominent displays of the company’s nine core values and performance benchmarks for its Everest climb. A games room, mother’s room and a cereal bar—which harkens back to remind everyone of the early dark days when Mask and his then small team lived on cereal and pizza. Infusionsoft is also expanding its ecosystem of developer and service delivery partners, which now includes over 300 partners. This year’s Battle of the Apps, showcased at InfusionCon, 4 contestants who develop plug-ins and add-ons to the Infusionsoft platform. Interestingly, the building also includes a Dreaming Room—complete with a library and full-time Dream Manager—to help Infusionsoft employees set and attain their personal goals. Infusionsoft believes that happy employees equate to happy customers—and it is filling the walls with photos of how its employees are achieving their dreams. 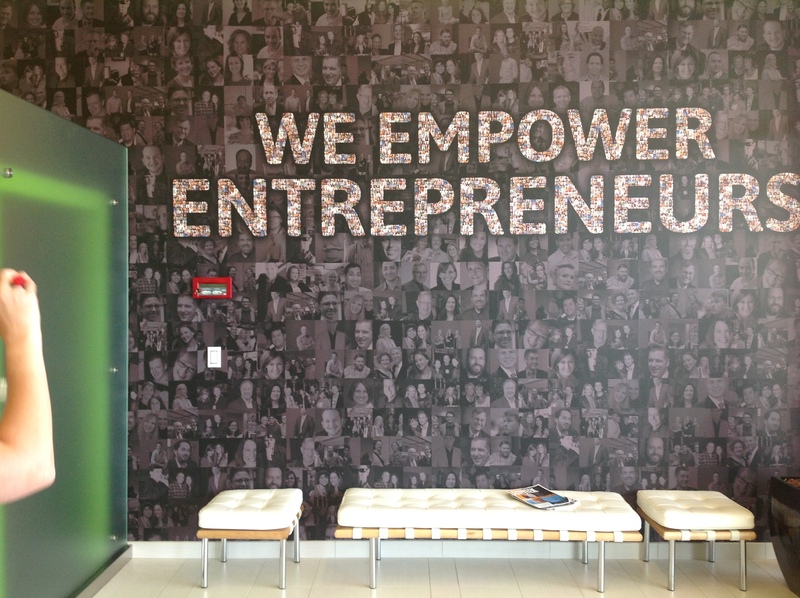 Will Infusionsoft’s dedication to small business pay off? Will it be able to stay the small business course, and find the formula that eludes so many tech companies. Is it on track to become a scalable, enduring small business solution company ala Intuit? Of course, only time will tell if Infusionsoft’s execution will live up to its intentions. The company will need to strike that fine balance of creating powerful solutions without complexity—a rare thing indeed. But, so far, I like what I see. Keeping fresh small business blood running through its employees’ veins should also help keep it focused on and in tune with small businesses—especially when so many of the vendors targeting small business are so far removed from the realities that small business owners face. Infusionsoft has the capital it needs to provide a better user experience for its customers, and broaden its partner ecosystem to add the nuanced capabilities that diverse small business customers demand. Infusionsoft’s goal for next year’s InfusionCon is 4,000 small business owner attendees. I’ll be watching to see if the company meets this objective, because convincing that many “true” small business owners to put day-to-day business needs aside for three days to travel and invest to learn how to use any software solution may be a first. If Infusionsoft pulls this off, it will be a very good omen indeed that it can fulfill on its dreams for itself and for its small business customers. Next Next post: Will Actian Connect, Analyze and Act on the SMB Market Opportunity? Great recap of Infusioncon 2013! Looking forward to all of the functionality coming in the spring releases for Infusionsoft and CustomerHub. Laurie, thank you for the write-up. I’m comparing solutions and was a previous infusionsoft user (2007ish), but dumped it due to complexity. Willing to take a fresh look now. You’re welcome and thanks for reading. Please let me know what you think of it once you look at the current offering!